This beautiful painting is a copy of an Original Painting that was among the Metropolitan Museum of Arts Treasured Masterpiece Collection. The original painting was painted by Sir Joshua Reynold. This was a commisioned copy stamped by the Met and painted inside on July 5 1944. A very rare piece at that and signed by the artist. 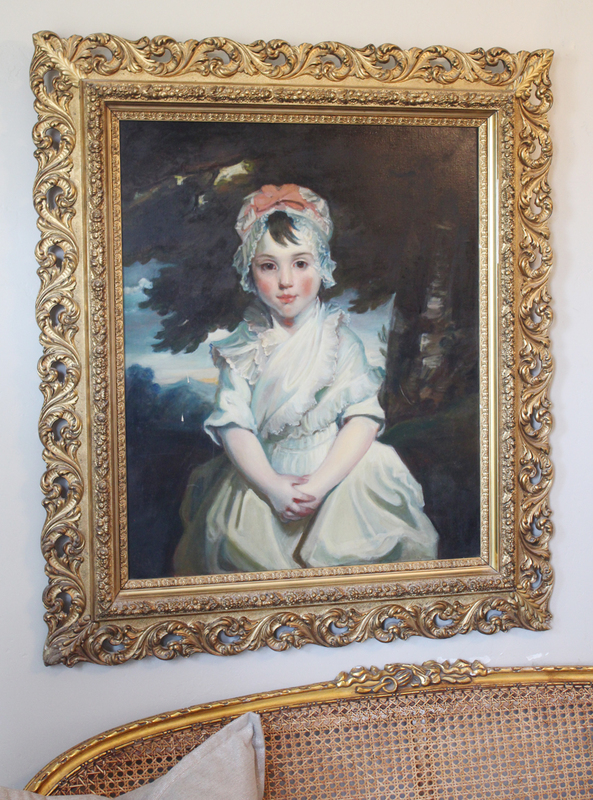 The girl painted here is Georgiana Augusta Frederica the daughter of Grace Dalrymple Elliot. 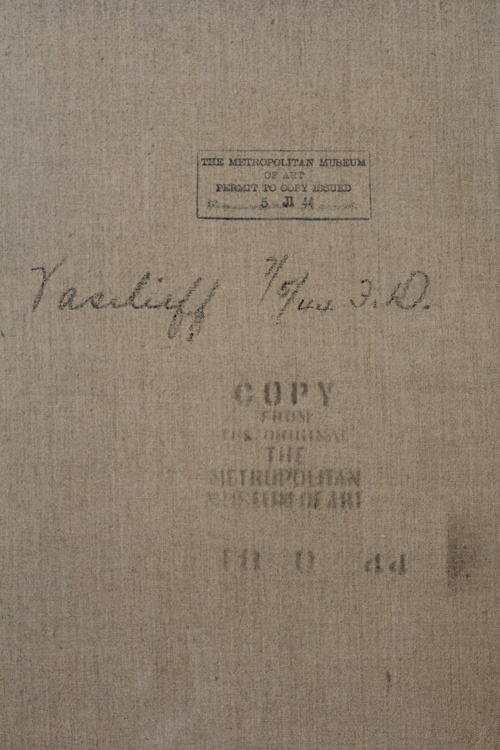 The original work has been in a traveling collection from the met and featured in many prestigious museums. 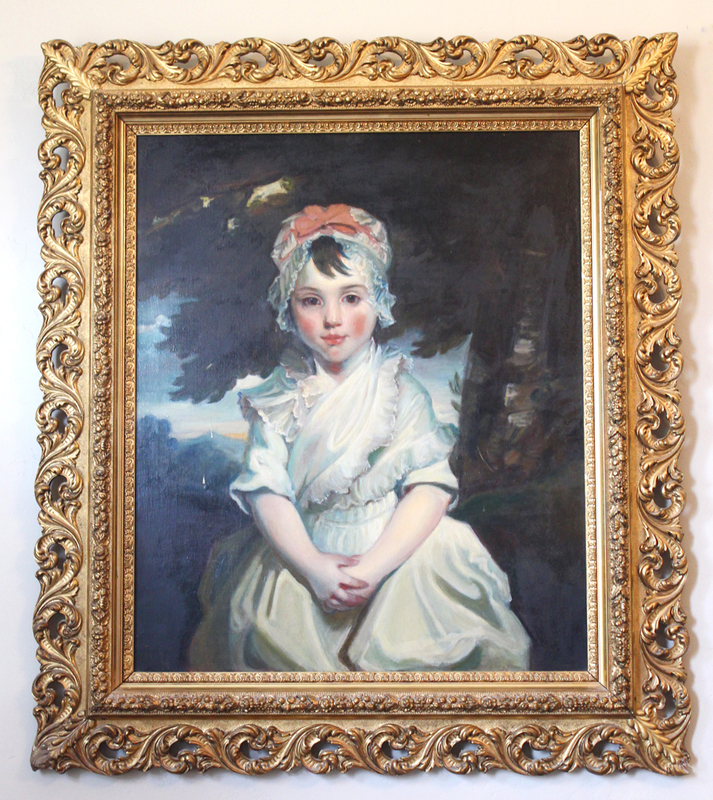 The frame on this painting is period and just gorgeous with the original water gilting.